London Jazz News: It’s unusual to launch two CDs at the same time. How did that come about? Dominic Howles: In the best tradition it's all accident and not design. I was meant to do a CD launch last year for Bristolian Thoroughfare but the truth was that I didn't allow enough time to get the CD pressed before a couple of dates that the band had. So I just postponed it, as I was getting things together for my quartet and I thought- why not do them at the same time? LJN: Your latest CD is Radio Cannonball. The CD cover, with its bakelite radio, looks very 50s/60s. Is that your favourite era of jazz? DH: I wanted a cover with an old fashioned radio on the front, as a nod to the cartoon radio on the front of Cannonball Adderley’s Radio Nights. I love that CD, and Cannonball is a giant. Whilst I love the 50s/60s period, I think there has been great jazz played throughout the history of the music. It's always exciting when you stumble upon something that you hadn't heard before, and you get a new perspective on who influenced who. LJN: You’ve written most of the tracks on Radio Cannonball? DH: It was sometime in the 90s that my friend the alto player Jamie O'Donnell first introduced me to Radio Nights. As there was an onslaught of alto players (Parker, Adderley, McLean, Oatts, Donaldson etc) that he made me listen to (in a nice way), I think that Radio Nights slipped through the net. 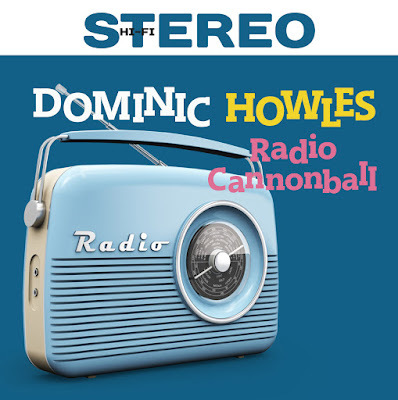 To my shame, it wasn't until about a year and a half ago that I gave it a proper listen and I was struck by how great he played at that time (I have never heard any bad Cannonball, for the record!) I just felt that I had to write something as a tribute to one of the greats of Jazz- Radio Cannonball. Song For Suzanne is for my wife Suzanne. I really liked Dianne Reeves' version of Suzanne by Leonard Cohen, and I took that as a starting point. Mr S.G. is for my late father-in-law Steve Gray, who was a great arranger. I used to love his stories and anecdotes. I remember I was struggling with transcribing Whirling Dervish by Christian McBride many years ago, and he wrote it out for me perfectly in ten minutes flat without a piano- just good old pencil and paper. Anna's Dance is for my daughter Anna who wanted me to write her a groove tune. I am a big John Scofield fan, and I like the way he nods back to Eddie Harris and Les McCann in some of his writing, especially on the Hand Jive album. LJN: You’ve recorded Oscar Pettiford’s Tricotism on Radio Cannonball. Which other bass players have influenced you? DH: If I had to pick one bass player it would be Paul Chambers every time- just the best feel and time, and great lines. We are lucky to have Christian McBride and Larry Grenadier both playing amazingly in their different styles. I think there are some really good bass players in London right now, and it is inspiring when I get to see them play. LJN: Which arrangers have influenced you? DH: Firstly, I wouldn't call myself an arranger. I am at the stage where I am just transcribing as much as I can, to build up an understanding of the different ways that a piece of music can be treated. I am only really starting out, by stealing from all the great arrangers and trying to learn from my mistakes. I am listening a lot to Bill Holman, Bill Finegan, Thad Jones , Gil Evans, and loads of others. When I grow up I will take on Brookmeyer but that might be beyond this lifetime. I really like the fact that [pianist] Mike Gorman has got a big band together which sounds great, and [flautist] Gareth Lockrane's big band is always mega. They have both inspired me to get a big band together for next year. LJN: You’ve covered some unusual songs on both CDs: When Love Breaks Down (Prefab Sprout); Moving (Supergrass); Once in a Lifetime (Talking Heads). What drew you to those songs? DH: Herbie Hancock did a great version of Norwegian Wood; Christian McBride arranged Family Affair and Brad Mehldau did Fifty Ways to Leave your Lover. I really love it when someone puts some time into reworking a pop tune. I still remember seeing Django Bates doing Downtown with Earthworks in the 80s at the Thekla in Bristol. The tunes themselves are just those that have stuck with me. In the case of Moving by Supergrass, I don't know much of what else they have done. I just saw them on TV performing that song live from Glastonbury and liked it. My elder brother and sister played Prefab Sprout a lot when I was growing up, and it was my younger brother who listened to Talking Heads all the time. LJN: Why did you choose the musicians you did for both CDs? What will the line up be on the gig? DH: I chose them firstly cause I like their playing, but also they are all people who like to do a good job, and create a good vibe when rehearsing and playing. It's nice when people are willing to work together to get the dynamics right or come up with things I hadn't thought of. The first set at the Spice of Life will be the Septet with Allison Neale- flute; Steve Fishwick- trumpet; Jamie O'Donnell- alto; Dave O'Higgins- tenor; Nick Tomalin- piano; Matt Fishwick- drums, and me on double bass. The second set will be the quartet with Gareth Lockrane on flutes, but the same rhythm section. There also might be the odd guest, so watch this space!